Your child will love to create memories to cherish forever with our team of dedicated and passionate French summer day camp and French overnight camp staff. Because our staff stick around year in and year out, campers are able to create long-lasting, special bonds with counselors and teachers. How is Camp Tournesol French Day Camps Structured? Good question. For our French day camps, every program is supervised by a dynamic duo: a teacher or university student paired with a high school student. Why? Through the years, we’ve found the unique combination of a fun, fresh high schooler along with the experience and wisdom of a teacher or university student, to be the perfect balance for campers. Our supervisors actively create and lead a wide variety of safe activities that never fail to keep your child engaged and having a blast while building their language skills. Activities include arts and crafts, group exercises, role-play, games and sports, and much more! Onsite you will also have access to the site manager who will have a different coloured t-shirt to be easily identifiable. They act as the head mentor, organizer extraordinaire, super hero problem solver and your go-to person onsite. We also have a team of senior coordinators who visit regularly all our campuses to provide additional mentorship, guidance and enthusiasm as needed. About Amanda Cloutier: A lover of the French language since her first French classes in elementary school, Amanda pursued her post-secondary studies all with a focus on the French language, completing an Honours Bachelor of Arts in French Studies from the University of Waterloo, a Bachelor of Education at Nipissing University to certify her as an Ontario Certified Teacher for French at the secondary level, and a Master’s of Education from the University of Ottawa. Outside of her schooling, Amanda has always sought opportunities to grow her fluency in French, ultimately leading her to join the Camp Tournesol team as a counsellor in 2013. Since, she has grown with the company, seeing first-hand how the programming Camp Tournesol offers impacts campers, families, and our counsellors. Now a Program Director, Amanda is pleased to give back to the French language community, supporting new initiatives within Camp Tournesol and Great French Tutors. 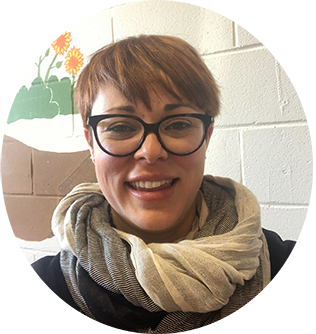 About Annie Bellemare: Invested in the world of education for over 10 years, Annie Bellemare has had the great opportunity to share her experience and passion for the French language at Camp Tournesol since 2009. She graduated from the University of Quebec in Trois-Rivières with a Bachelor’s degree in Second Language Teaching. After her first degree, she decided to pursue her studies at the master’s level. 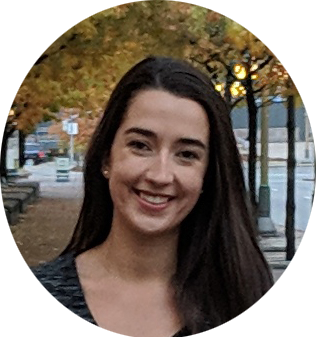 At the University of Toronto’s Ontario Institute for Studies in Education, Annie completed her Master of Arts in Curriculum Studies and Teacher Development. Her thesis was on youth identity and French-language education in Ontario. Her present role is Special Education Consultant at Conseil Scolaire Viamonde, in Toronto and the Greater Toronto Area. As a Curriculum Director, Annie collaborates with the Camp Tournesol’s team in providing an optimal French learning experience to our campers as well as our students at the Brouillet French Academy. We keep a ratio in each French day camp campus of LESS than 1 counsellor to 10 campers with the exception of the kinder programs. For campers in the those programs, the ratio is 1 to 8 to 1 for 7. They must attend multiple workshops in the spring. Several online videos, prepared by our training specialists, must be reviewed. All counsellors attend one full day centralized training where all our team congregate together. We review all our safety procedures, our curriculum and develop team spirit and bonding amongst staff of each campuses. We also have each team onsite at their home campus prior to the beginning of camp for an orientation session. French Overnight Camps and Trips? Overnight French trips and French overnight camps, are also fully staffed with an experienced adult, otherwise known as the “chef de mission,” accompanied by a number of university students “teacher-in-making” providing a student to supervisor ratio of no more than 7 to 1. All staff on these trips have previous experience with Camp Tournesol. We use the best of the best on these trips! Do You Screen Your French Camp Staff? Yes, all our French summer camp staff are CPR and first aid trained and hold an up-to-date certificate. They are also police background checked and we require 2 relevant references. The interview is conducted in French, so you can rest assured that staff are also fully bilingual. Interested in working for us? Or someone you know? Click here to access our job page.